Designed for the game, the 24 conflict-free keys let you enjoy the game with incredible skills. You can adjust 5 DPI values from 200/400/600/800/ 1000/1200/1600/2000/2400/3200/4800/6400, which is up to 6400DPI. It can meet the accuracy of different screens. 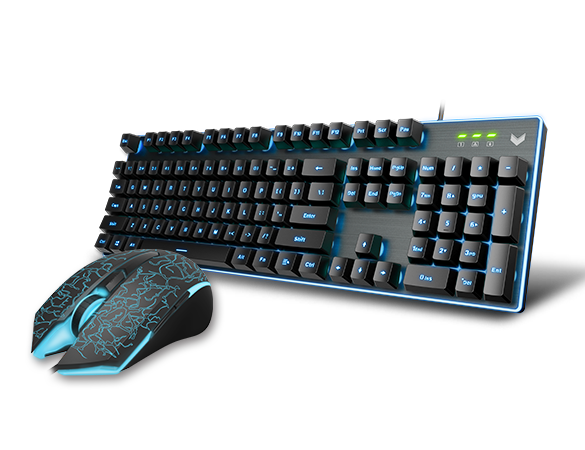 The sealed membrane ensures a longer keyboard lifetime.It prevents oxidizing of the inside circuit, which may cause defect keys.